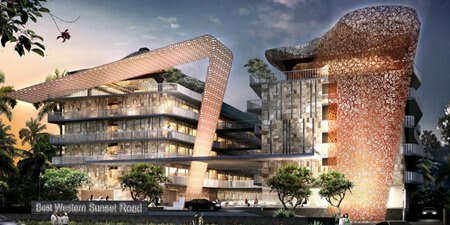 Best Western International (BWI) has unveiled plans for an extensive and fast-paced expansion across Indonesia to more than double its portfolio across the country by the end of this year. 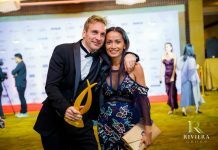 The company announced the plans last month in a press conference held at the new upcoming flagship hotel in Bali, Best Western Premier Sunset Road Kuta – the latest of four BWI properties on the ‘Island of God’. An artist’s impression shows the completed Best Western Premier Sunset Road Kuta. Addressing local and international media at the event was Glenn de Souza, BWI’s Vice President of International Operations for Asia & the Middle East. “I am delighted to be unveiling Best Western International’s Indonesian expansion at this stunning new hotel, the Best Western Premier Sunset Road Kuta. 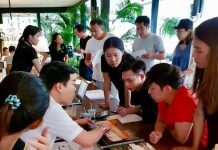 This fantastic property represents exactly what we are trying to do here in Indonesia: to create a range of vibrant, contemporary hotels that cater to the modern traveler,” de Souza said. “Right now we’re standing at an incredibly important period in the history of Indonesia. Across the country, disposable income is rising and demand for travel is increasing. And with the ASEAN Economic Community due to start in 2015, with Indonesia at its heart, this growth trajectory will only get steeper in the coming years. “Best Western International is in Indonesia for the long-term, and we plan to form lasting relationships here, both with our guests and industry partners,” he added. Currently BWI has five hotels open and operational in Indonesia – one in Jakarta, one in Semarang and three in Bali. But with a pipeline of 26 more hotels across the country, BWI expects to be able to offer a portfolio of at least 31 hotels by 2015, increasing its total inventory from just over 700 rooms to more than 6,000. This expansion will include the opening of this new Best Western Premier Sunset Road Kuta and five more hotels in Jakarta, including the launch of the luxury Best Western Premier brand in the city, along with debut properties in many key emerging cities across the country, including Samarinda, Bogor, Pontianak and Malang.